SHORTLISTED FOR THE 2018 MILES FRANKLIN LITERARY AWARD. Storyland has been shortlisted for the 2018 Miles Franklin Award, the Barbara Jefferis Award and the Voss Award. Award-winning playwright and novelist, Catherine McKinnon studied theatre performance and cinema at Flinders University, and worked for the Red Shed Theatre and later the State Theatre Company as a theatre director and writer. Her play Tilt was selected for the 2010 National Playwriting Festival, and As I Lay Dreaming won the 2010 Mitch Matthews Award. Her short stories, reviews and articles have appeared in Transnational Literature, Text Journal, RealTime, Narrative and Griffith Review. Most recently, McKinnon, along with four other writers, won the Griffith Review Novella 111 Award, 2015, and her novella 'Will Martin' was published by Griffith Review in October of that year. She currently lectures in Performance and Creative Writing at the University of Wollongong. 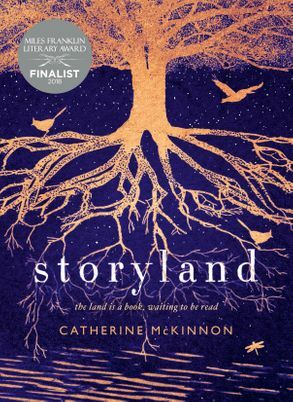 Her novel Storyland was published by HarperCollins in 2017.